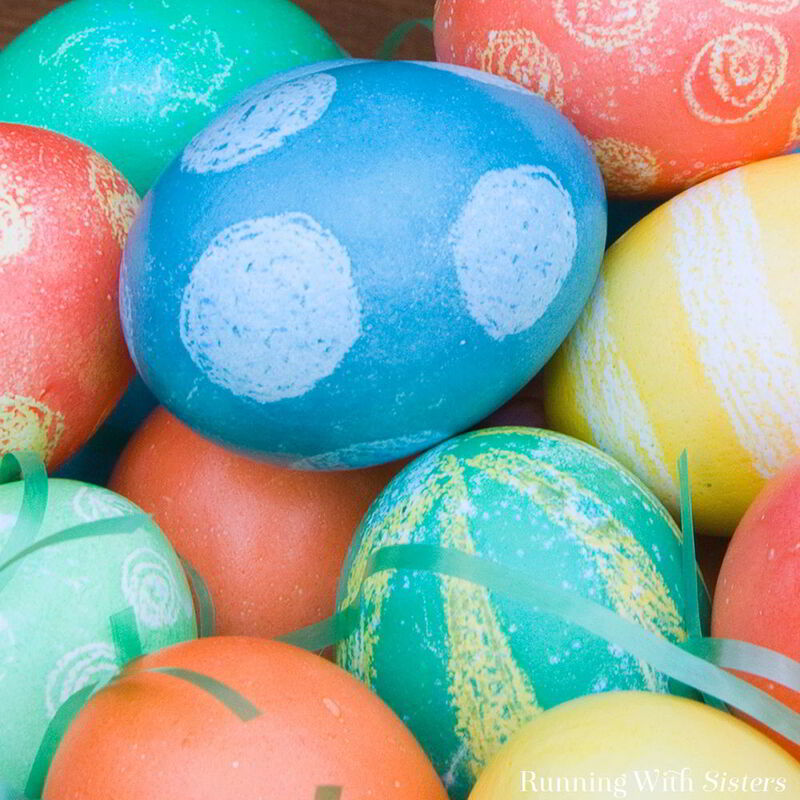 You are here: Home / Craft How Tos / How To Dye And Decorate Easter Eggs! 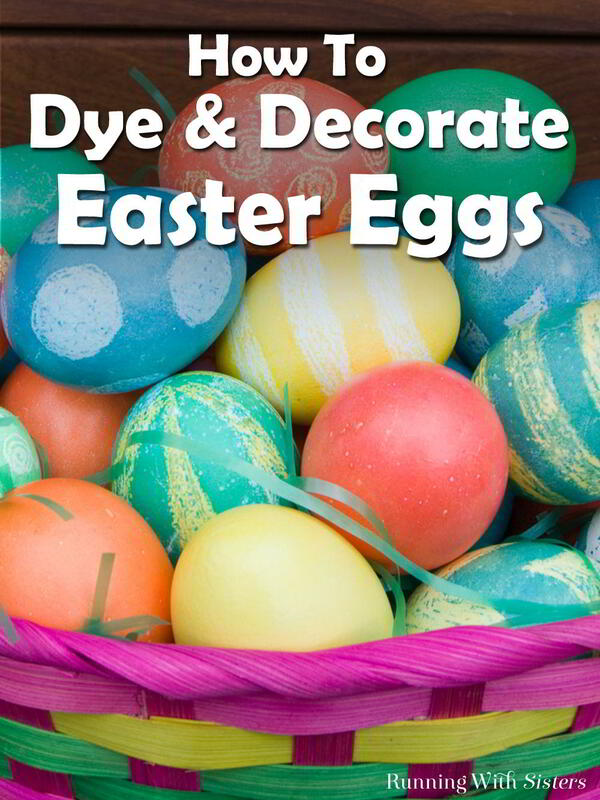 How To Dye And Decorate Easter Eggs! We loved dyeing Easter eggs as kids! We still do! When we were little, our Mom got the Paas kit with the fizzy dye tablets. We remember the box had perforated circles so you could make it into a drying rack. So clever! We posted our Easter egg how-to last year for Easter, but since we have so many new followers, we thought we’d share it again. Don’t want anyone to miss it! We loved that Paas kit, but did you know you can dye Easter eggs with food coloring? We’ll show you how. And you probably already have everything you need in your kitchen. 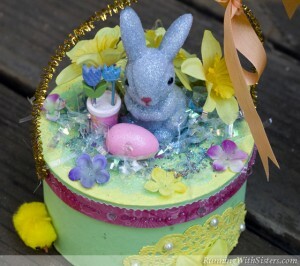 We’ll also show you our favorite way to decorate the Easter eggs – using crayon resist. Here’s a video we made showing all the steps to make the dyes, dye the eggs, and decorate the eggs. Follow along with the video, then use the instructions below to dye and decorate your own Easter eggs. So fun! 1. To make the dye, pour ½ cup water (room-temperature ) and 3 tablespoons white vinegar into a cup. Add 20 drops of food coloring and stir with a Popsicle stick. 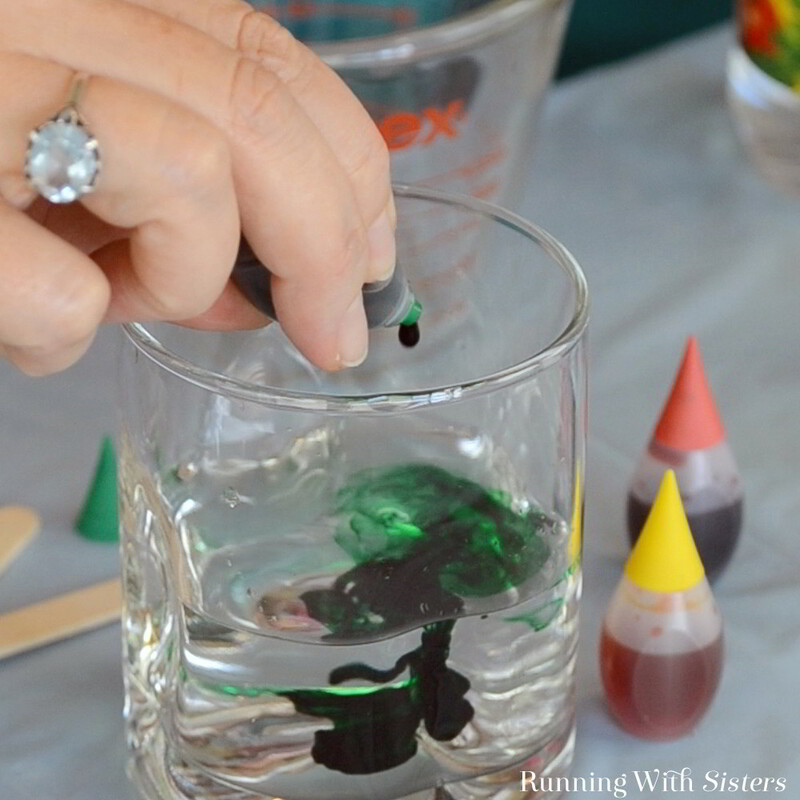 Repeat to make red, yellow, green, and blue dyes, using a new cup and a new Popsicle stick for each color. 2. To mix your own color, like orange, follow the recipe in step 1 but use 10 drops of red food coloring and 10 drops of yellow food coloring. Stir with a craft stick. 3. 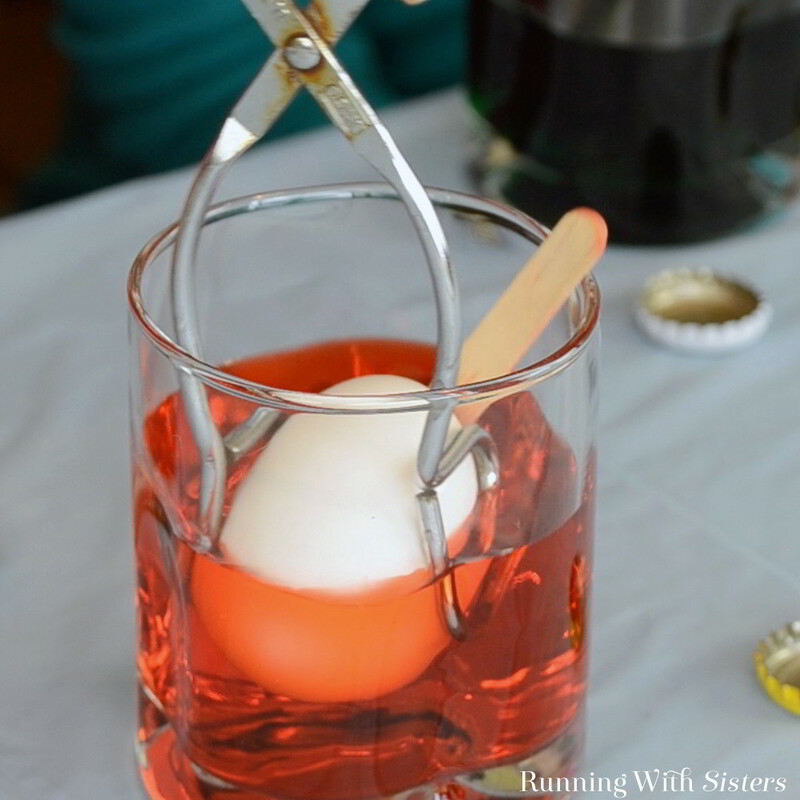 To dye the eggs, place a cooled, hard-boiled egg into one of the dyes using your tongs (or any other egg dipper tool). 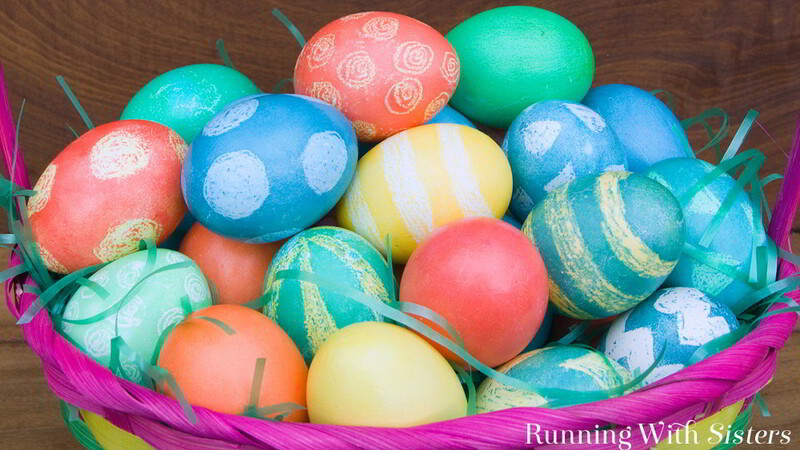 Leave the egg in the dye for 1-2 minutes to get a light color or 3 minutes to get a more vibrant color. (Leaving the egg in longer kind of pickles the shell and doesn’t look good.) 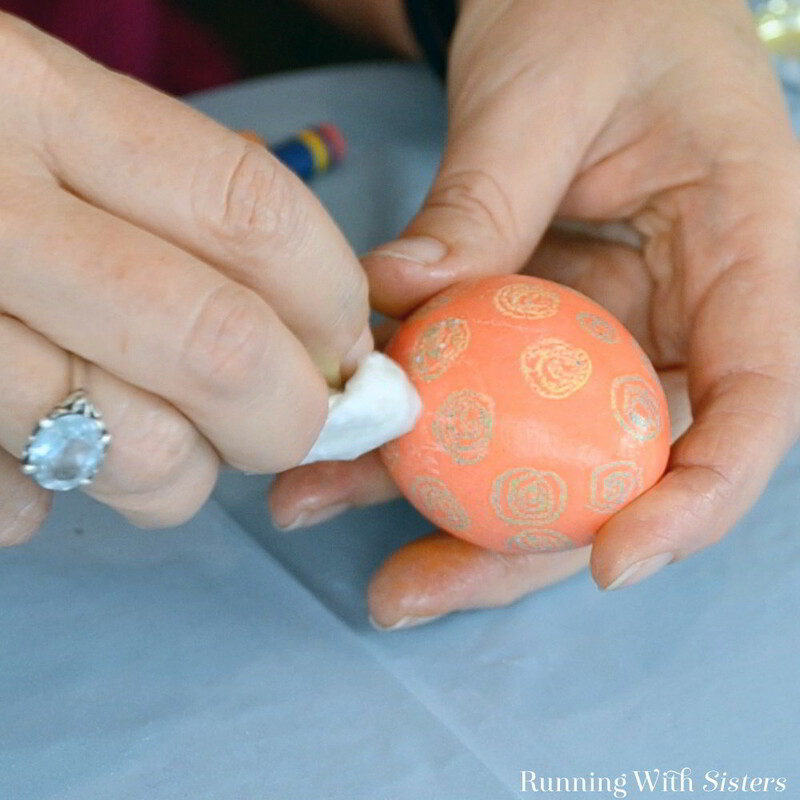 Turn the egg with the craft stick so the egg dyes evenly. Remove the egg with the tongs and place it on a bottle cap (face the open end of the bottle cap up). The bottle cap will hold the egg upright while it dies and it won’t leave any marks on your egg! Let the egg dry. 4. 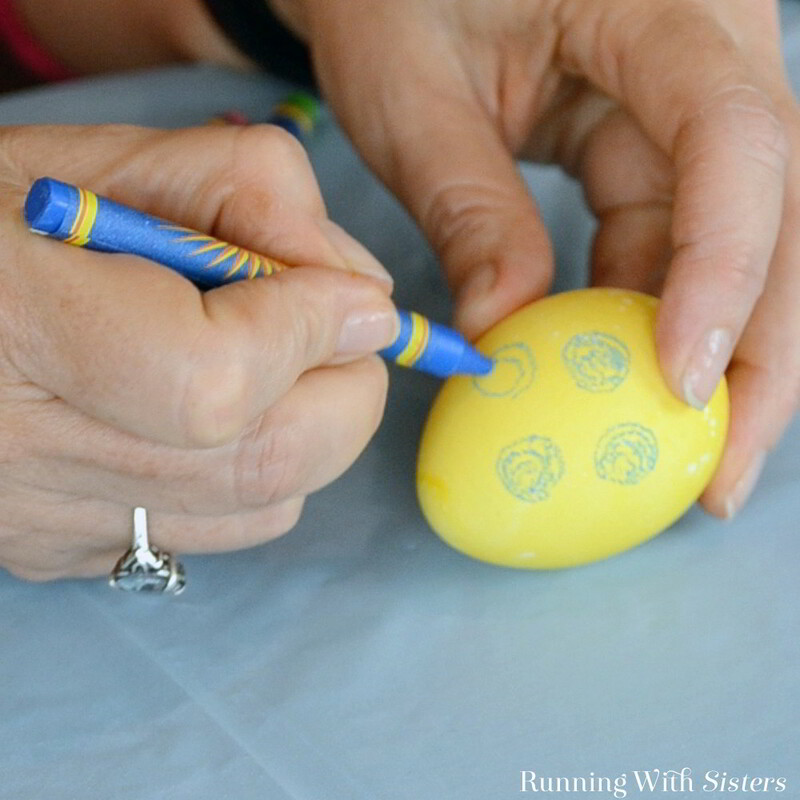 To decorate the eggs using crayon resist, draw all over a white, yellow, or other light-colored egg with a crayon, making swirls, dots, stripes, or zigzags. (Don’t press so hard that you crack your egg! Place the egg in a different color dye (use a darker color for the second dye bath for best results.) 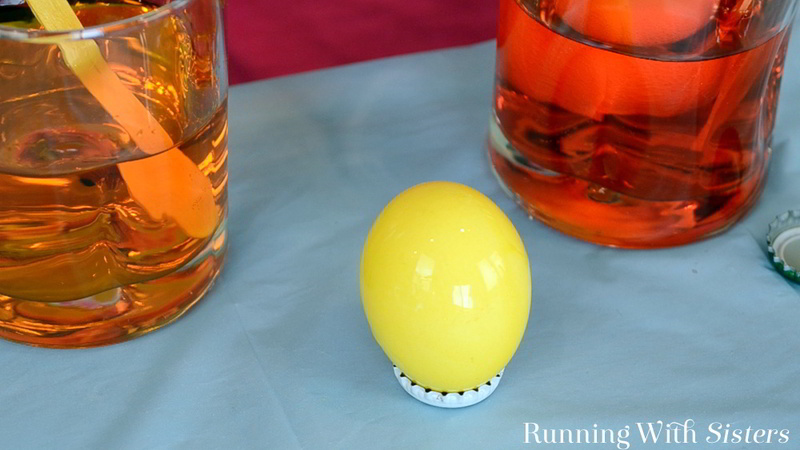 Leave the egg in the dye for 2 minutes, then remove from the dye and place on a bottle cap to dry. 5. To polish the eggs, smear petroleum jelly all over the shell. Gently buff the egg with a paper towel until the crayon wipes away and your design shows through. Use this same technique to polish solid-colored eggs. 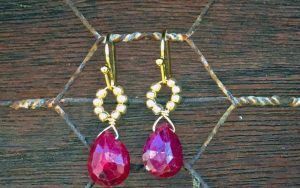 Vinegar in the dye will give you bright colors. 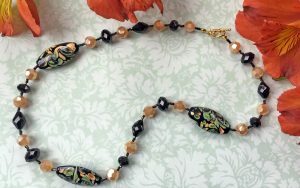 For more traditional colors use lemon juice instead. 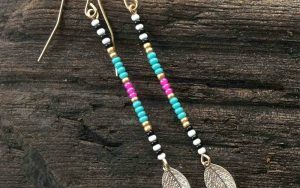 Or for very light pastels, try adding the food coloring to just plain water. 1. Place eggs in a saucepan or pot. Cover the eggs with water and heat until the water boils. 2. Turn off the heat, cover the pan with a lid, and let sit for 15 minutes. 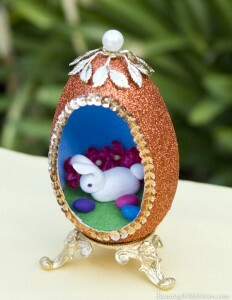 Did you decorate Easter eggs when you were little? Have you ever tried crayon resist? Let us know in the comments! And if you dye some eggs, we’d love to hear about it. Another idea for coloring eggs is to wrap them in crepe paper and soak in water. The longer you leave the paper on the more color. 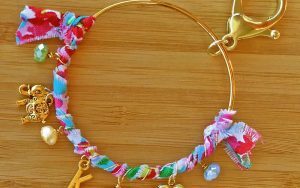 Loved doing this is grade school at Easter time. Crayon works the same with it. Hi Lauren, “crayon resist” is when you paint a layer of color, then draw on top with a crayon, then paint over it with more color. The crayon is waxy and it ‘resists” the water-based paint, so it shows through. Kind of magical! I work at a retirement center as an activity director and always looking for easy things but fun things to do. It will be fun to try this egg dyeing. Thanks. Yes, this is a great group project. Inexpensive, fun, and you can eat the eggs when you’re done! Yes, isn’t it fun when the old way comes back around? These are nice activities here. This was a really nice tutorial. I never knew about using petroleum jelly to remove the wax. We also used to write messages or our names on our eggs with crayons before coloring them. Thanks for such an entertaining video! Thanks for the kind words, Pam. And thanks for watching our video! 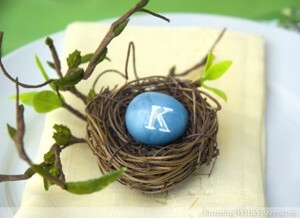 We love the idea of writing names and messages on the eggs. Gonna try that this year! Loved your post. We too color eggs and use the vinegar/water/food coloring method. Last year we tried to do the food coloring in damp paper towels placed on a square of foil. Crunch the foil up around the egg, gently of course. Gives the egg a marbled design. Each egg turns out differently.Can use two or more colors per paper towel, what ever you want to create. Grand kids had fun doing this too. We are going to use your method this year with the crayons. Thank you so much for sharing. 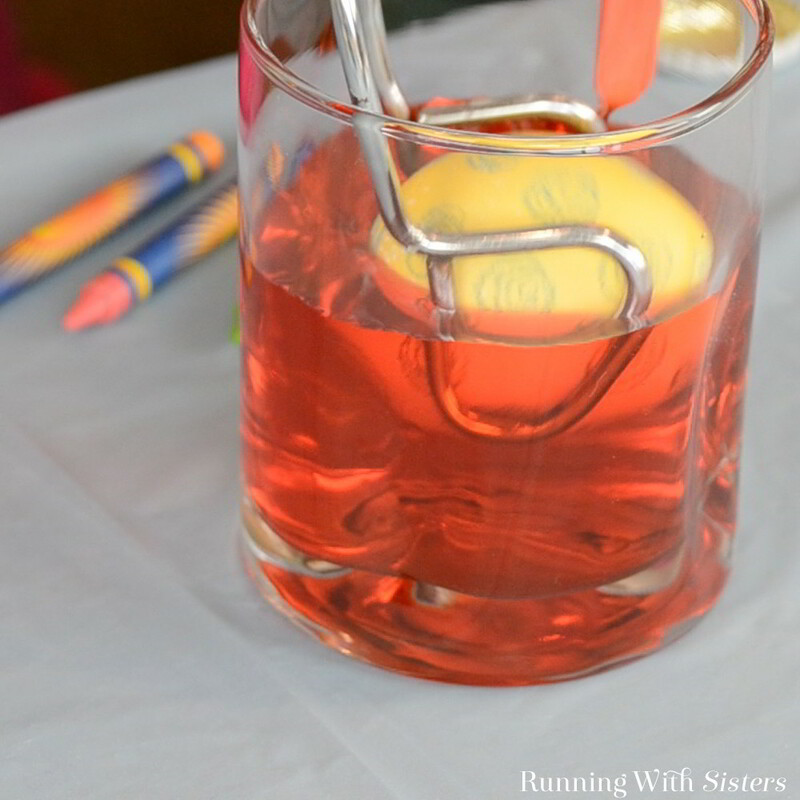 What a fun way to dye eggs! 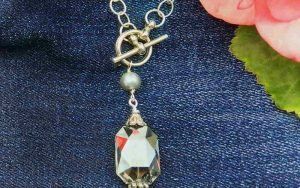 Love your idea for marbleizing them. We think we’ll try that this year!